Supplementing the case studies are additional chapters to deepen your understanding of the strategies and make what you learn more usable. 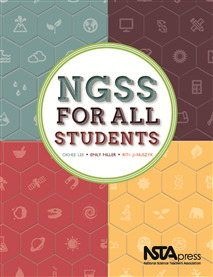 These chapters address how to design units with the NGSS and diversity in mind, apply a rubric to improve your teaching using the NGSS with diverse student groups, and use the case studies in teacher study groups. Furthermore, leaders of the NGSS— including Helen Quinn, Stephen Pruitt, Andrés Henríquez, and Joe Krajcik—offer their insights and commitments to diversity and equity. NGSS for All Students will help you make the instructional shifts necessary to prepare all your students for college and careers.